Fiaschi, P. &amp; Plunkett, G. (2009). Neotropical Araliaceae. Small shrubs to large trees, less commonly lianas or herbs, glabrous or pubescent . Plants terrestrial, hemi- epiphytic , or climbing. 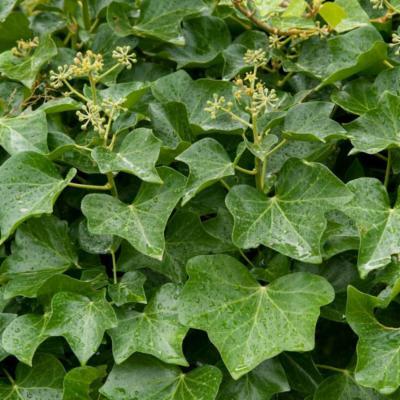 Leaves alternate , frequently heteroblastic; petioles often sheathing at the base, sometimes alate, exstipulate , or with ligulate stipules; blade simple to ternately, palmately or pinnately lobed or compound (or peltate ), with entire , crenate , toothed, or incised margins; venation pinnate or palmate . Inflorescences terminal (rarely axillary ), paniculate, compound -umbellate or simple -umbellate, the ultimate units umbellate or capitulate, sometimes racemose or spicate. Flowers hermaphroditic, staminate, or pistillate, epigynous , actinomorphic . Perianth parts typically (4)-5-(10). Calyx lobes simple and minute or obscure , forming a truncate rim. Petals valvate or imbricate , sometimes calyptrate, the bases broadly inserted. Stamens isomerous, alternipetalous, anthers dorsifixed, introrse, dehiscing by longitudinal slits; filaments inflexed in bud . Ovary syncarpous of 2-5-(12) carpels, each carpel unilocular with apical placentation; stigmas on a style or sessile ; styles free or connate , sometimes confluent with the nectiferous disc of the ovary . Ovules anatropous, pendulous, one per locule , unitegmic, crassinucellate or rarely tenuinucellate. Fruits simple or sometimes multiple, fleshy (rarely dry), usually drupaceous or baccate with a fleshy mesocarp and a separate, variously sclerified endocarp ( pyrene ) around each locule , or rarely a schizocarp with two mericarps. Seeds straight; endosperm copious, oily, uniform or variously ruminate ; embryo minute but well-differentiated. Aralia L. - most species in seasonally dry forests, usually below 500 m.
Dendropanax Decne. & Planch. - moist forests at lowland to mid-elevation areas, usually below 1500 m; centers of diversity in Jamaica, southern Central America, northern South America, and eastern Brazil. Hydrocotyle - widespread in moist habitats, especially in the Andes. Oreopanax Decne. & Planch. - most species in mountainous areas of Central and South America, especially above 1500 m in the Andes; 2 spp. in eastern Brazil. Schefflera J.R.Forst. & G.Forst. - most species in moist habitats at mid to high-elevations, up to 3000 m. Infrageneric groups (Frodin 1995) are well-correlated with geographic areas: "Cephalopanax" in Andean areas above 2000 m, ranging from southern Venezuela to Peru; "Cotylanthes" from southern Central America to northern Ecuador, with an eastern extension to the Venezuelan coastal mountains; "Crepinella" with most species endemic to the "tepuis" of the Guayana Shield and the Amazonian white-sand lowland areas; "Didymopanax" mostly in low to mid-elevation areas of eastern Andean South America, especially in Brazil and southern Venezuela; and "Sciodaphyllum" with most species in the tropical Andes and in southern Central America, the Caribbean Islands, and the western part of the Guayana Shield. No characters are always present in Araliaceae. However, the presence of flowers usually grouped in umbels or capitula and nectariferous discs is useful for recognizing members of the family. The woody plants are often sparsely branched with pachycaulous stems. 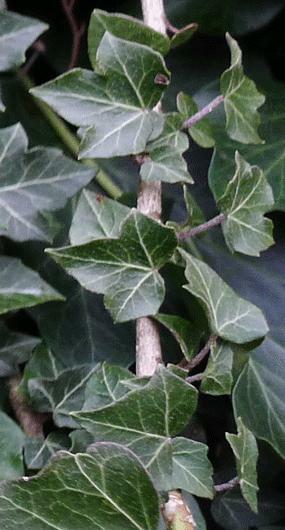 The leaves are often clustered toward apex of branches, with petioles of rather unequal lengths (especially in Dendropanax), and bases sometimes sheathing. 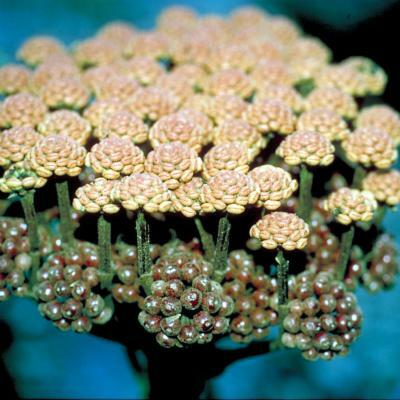 Aralia - the only genus with spinose species in the Neotropics. Hydrocotyle - the only herbaceous genus in the Neotropics. Aralia - Armed or unarmed, terrestrial, mostly deciduous shrubs or trees. Leaves stipulate, base adnate to clasping; blades 1--4-pinnately compound, the rachis articulated; leaflets with margin entire to variously toothed. Inflorescence terminal or lateral; paniculate, corymbose, or compound umbellate, ultimate units umbellules or sometimes capitula or racemules; pedicels articulated (rarely unarticulated). Flowers with 5--10(--12) free, imbricate petals; stamens and carpels isomerous with petals, ovary inferior, styles free to basally or entirely connate. Fruits berry -like drupes. Dendropanax - Glabrous trees or shrubs. 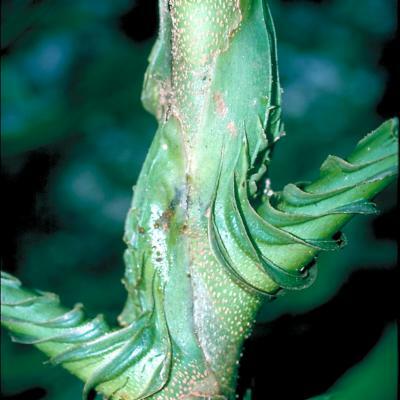 Leaves with petioles very variable in length, the stipules short; blades simple and unlobed or palmately lobed, commonly with reddish glandular dots, the margins entire to irregularly toothed. Inflorescences usually terminal, simple (or compound) umbellate or paniculate; ultimate units umbellules (very rarely capitula); pedicels unarticulated. Flowers with 5--8 free, valvate petals; stamens 5--8; carpels 2--8, ovary inferior, styles fully to basally connate. Fruits drupes, 5--8 lobed when dry. Hydrocotyle - Herbs. Leaf blades simple (often peltate and orbicular) to palmately lobed or compound; membranaceous, the margins entire to crenate or dentate. Inflorescences axillary, often simple umbellate but sometimes compound umbellate or forming continuous to interrupted spikes; pedicels unarticulated. Flowers with 5 free, valvate petals; stamens 5; carpels 2, ovary inferior, styles free or basally connate. Fruits dry schizocarps, usually 5-ribbed, flattened laterally. 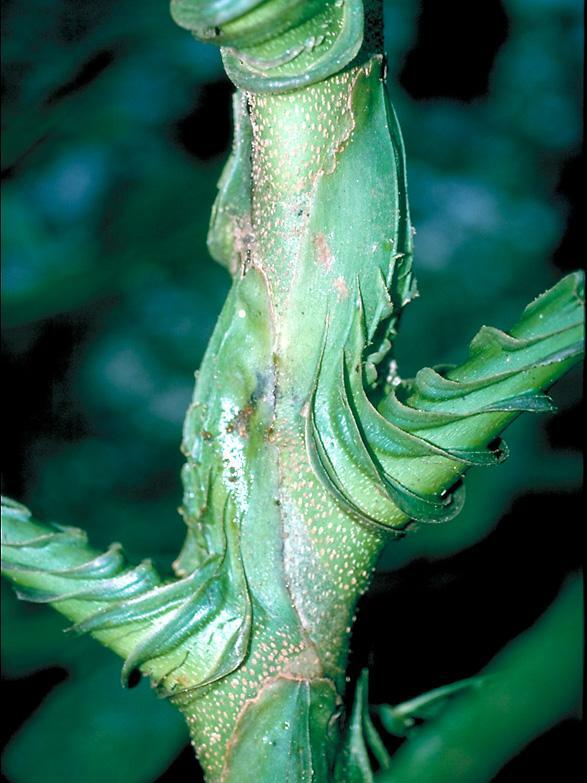 Oreopanax - Pubescent or glabrous, terrestrial or epiphytic shrubs or trees. Leaves with bladesimple or palmately lobed to compound, highly variable in shape, the margins entire or variously toothed. Inflorescences terminal, paniculate, the ultimate units capitula; bracts well-developed; pedicels lacking. Flowers with 5--7 free, valvate petals; stamens 5--7; carpels 2--12; ovary inferior, styles free or connate basally. Fruits drupes. Schefflera - Glabrous to pubescent, terrestrial, epiphytic or hemi-epiphytic trees or shrubs (rarely lianas). 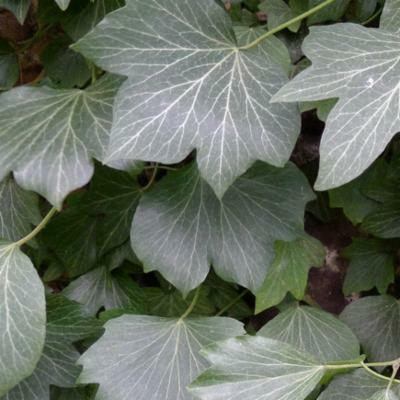 Leaves with connate and often ligulate stipules; blades palmately compound to bundle compound (rarely unifolioate or twice compound); leaflets entire to variously toothed or lobed. 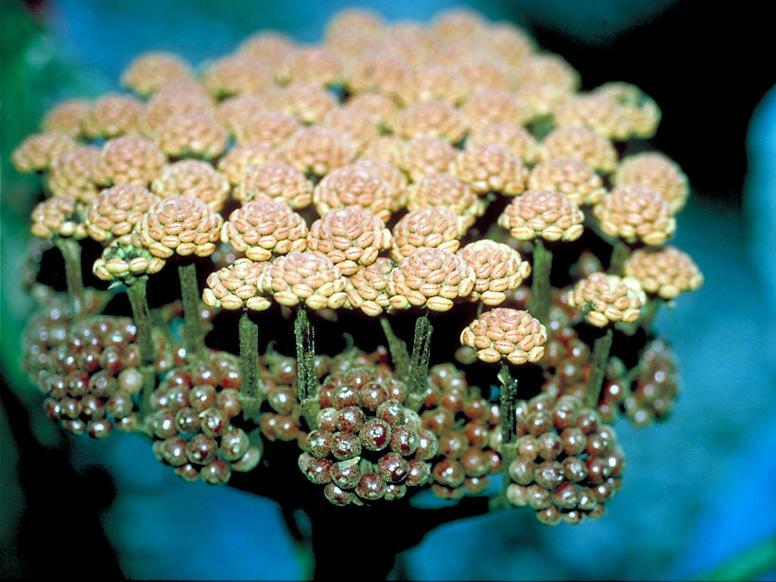 Inflorescences terminal or pseudolateral, erect or pendant, paniculate, racemose, or simple to compound umbellate, the ultimate units umbellules, capitula, racemules, or spicules; pedicels unarticulated. Flowers with (4--)5(--10) free or calyptrate, valvate petals; stamens typically isomerous with petals; carpels (2--)5(--10); ovary inferior to half-inferior, styles free to fully connate; the disc depressed to flat or nearly hemispherical. Fruits drupes, sometimes laterally compressed. 5 genera: Aralia (8 spp. ), Dendropanax (~75 spp. ), Hydrocotyle (~75 spp. 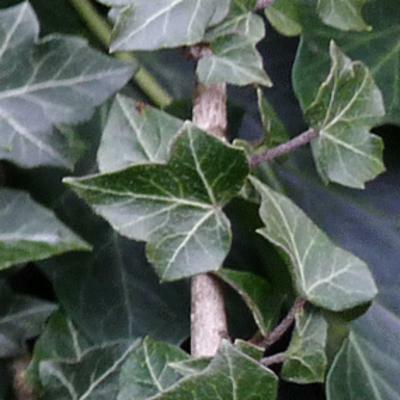 ), Oreopanax (~85 spp.) and Schefflera (~300 spp.). 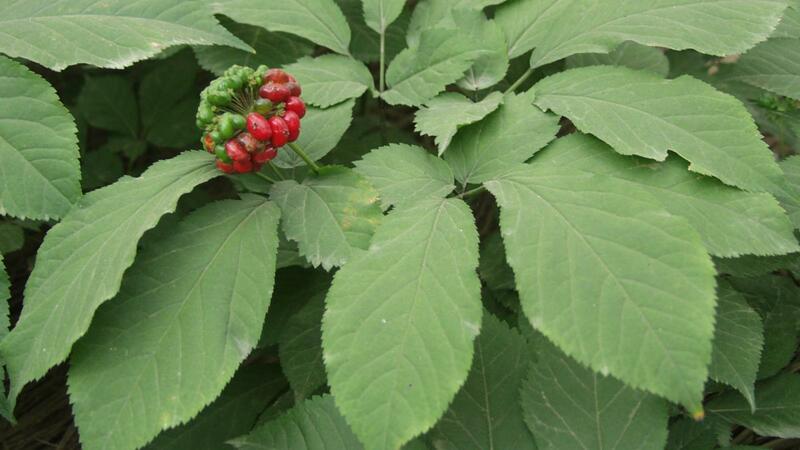 Three other genera of the family, Oplopanax (Torr. & A. Gray) Miq., Panax L. and Pseudopanax K. Koch, are native to the Americas, but all are found exclusively in temperate areas. Additional generic names have commonly been applied to some Neotropical taxa of Araliaceae, such as Gilibertia Ruiz & Pav. (under Dendropanax), Crepinella Marchal, Didymopanax Decne. & Planch. and Sciodaphyllum P. Browne (under Schefflera), and Coudenbergia Marchal, Pentapanax Seem. and Sciadodendron Griseb. (under Aralia). Hydrocotyle is native, but is also represented by several introduced species. Oreopanax is native and endemic to the Neotropics. Schefflera has both native (ca. 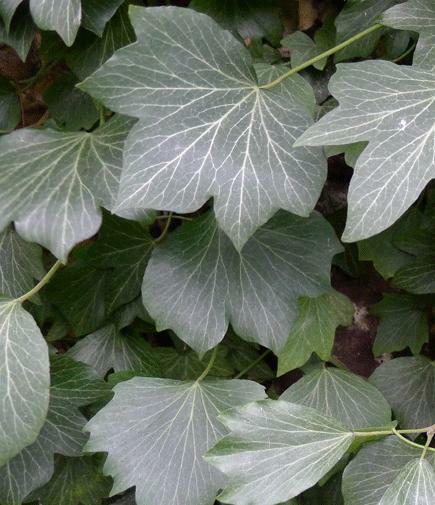 300) and cultivated (ca. 5) species. Cussonia Thunb., Fatsia Decne. 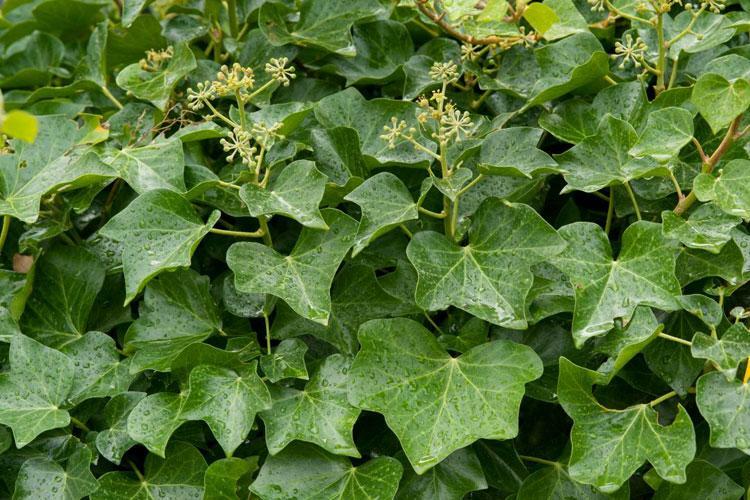 & Planch., Hedera L., Panax L., Polyscias J.R.Forst. & G.Forst., Tetrapanax K. Koch and Trevesia Vis. each have one or a few species cultivated in the Neotropics. Recent studies have suggested the transfer of a few herbaceous genera traditionally placed in Apiaceae (e.g., Hydrocotyle L. and Trachymene Rudge) to the mostly woody Araliaceae (Plunkett et al. 1996, Plunkett et al. 2004b). As a result, the approximately 75 species of Hydrocotyle found in the Neotropics are now referred to Araliaceae. BORSCHSENIUS, F. 1997. Oreopanax (Araliaceae) in Ecuador. Nordic Journal of Botany 17(4): 373-396. CANNON, M. J. & CANNON, F. M. 1989. Central American Araliaceae - a precursory study for the Flora Mesoamericana. Bull. Brit. Mus. (Nat. Hist. ), Bot. 19: 5-61. FIASCHI, P. & PIRANI, J.R. 2007. Estudo taxonômico do gênero Schefflera (Araliaceae) na Região Sudeste do Brasil. Bol. Bot. Univ. São Paulo 25: 95-142. FRODIN, D.G. 1989. Studies in Schefflera (Araliaceae), IV. Synopsis of the Formenkreis comprised of Didymopanaxattenuatus (Sw.) Marchal and allied species, with nomenclatural changes. Proc. Acad. Nat. Sci. Philadelphia 141: 313-319. FRODIN, D.G. 1995. Neotropical montane Araliaceae: an Overview. In S.P. Churchill, H. Baslev, E. Forero & J.L. Luteyn (eds.) Biodiversity and Conservation of Neotropical Montane Forests. New York Botanical Garden, New York, p. 421-430. FRODIN, D.G. 1997. Araliaceae. In J. A. Steyermark, P. E. Berry & B. K. Holst (eds.) Flora of the Venezuelan Guayana vol. 3. Missouri Botanical Garden, St. Louis, p. 1-31. FRODIN, D.G. 2004. Araliaceae. In N. Smith, S. A. Mori, A. Henderson, D. W. Stevenson & S. V. Heald (eds.) Flowering Plants of the Neotropics. Princeton University Press, Princeton, p. 28-31. FRODIN, D.G. & GOVAERTS, R. 2003. World Checklist and Bibliography of Araliaceae. Royal Botanic Gardens, Kew. MAGUIRE, B., STEYERMARK, J.A. & FRODIN, D.G. 1984. Araliaceae, p. 46-82. In B. Maguire, R.S. Cowan, J.J. Wurdack & collaborators. The Botany of the Guayana Highland - Part XII. Mem. New York Bot. Gard. 38: 1-84. MARCHAL, E. 1878. Hederaceae. In C.F.P. von Martius & A.G. Eichler (eds.) Flora brasiliensis. Typographia Regia, Monachii, vol. 11, pt. 1, p. 229-258, tab. 66-71. MATHIAS, M.E. 1936. The genus Hydrocotyle in northern South America. Brittonia 2: 201-237. MATHIAS, M.E., & CONSTANCE L. 1951. Supplementary notes on South American Hydrocotyle. Bull. Torrey Bot. Club 78: 300-309. PLUNKETT, G.M., SOLTIS, D.E. & SOLTIS, P.S. 1996. Higher level relationships of Apiales (Apiaceae and Araliaceae) based on rbcL sequences. American Journal of Botany 83: 499-515. PLUNKETT, G.M., CHANDLER, G.T., LOWRY II, P.P., PINNEY, S.M. & SPRENKLE, T.S. 2004a. Recent advances in understanding Apiales and a revised classification. South African Journal of Botany 70: 371-381. PLUNKETT, G.M., WEN, J. & LOWRY II, P.P. 2004b. Infrafamilial classifications and characters in Araliaceae: Insights from the phylogenetic analysis of nuclear (ITS) and plastid (trnL-trnF) sequence data. Plant Syst. & Evolution 245: 1-39. PLUNKETT, G.M., LOWRY II, P.P, FRODIN, D.G. & WEN, J. 2005. Phylogeny and geography of Schefflera: pervasive polyphyly in the largest genus of Araliaceae. Ann. Missouri Bot. Gard. 92: 202-224. 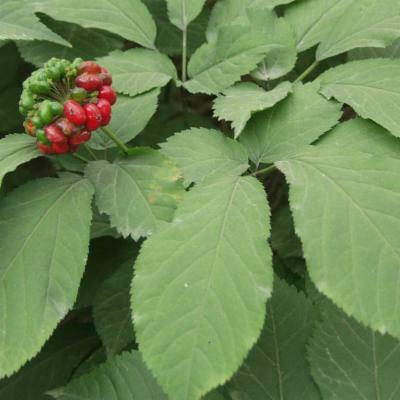 Oplopanax (Torr. & A.Gray) Miq.